More and more unicyclists ride with a unicycle-specific handlebar. The trend to bigger wheel-diameters but also the range of use for handlebars becoming wider are the reson. From Road over Cross-Country up to Downhill. 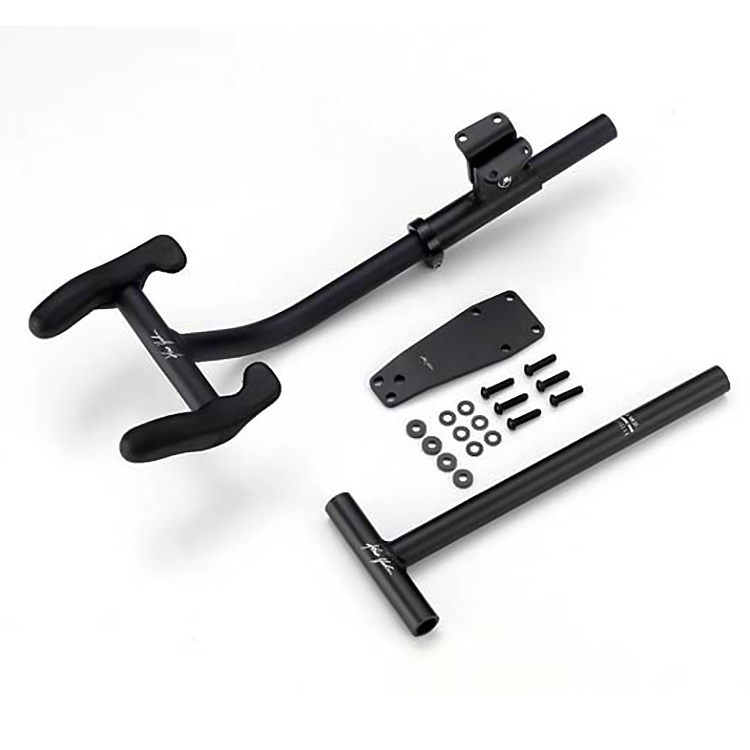 The Universal T-Bar is a parts kit that allow you to assemble the T-Bar either for distance or for muni riding. It is adjustable in height and length. The bar-ends are comfortable and their angle is adjustable. 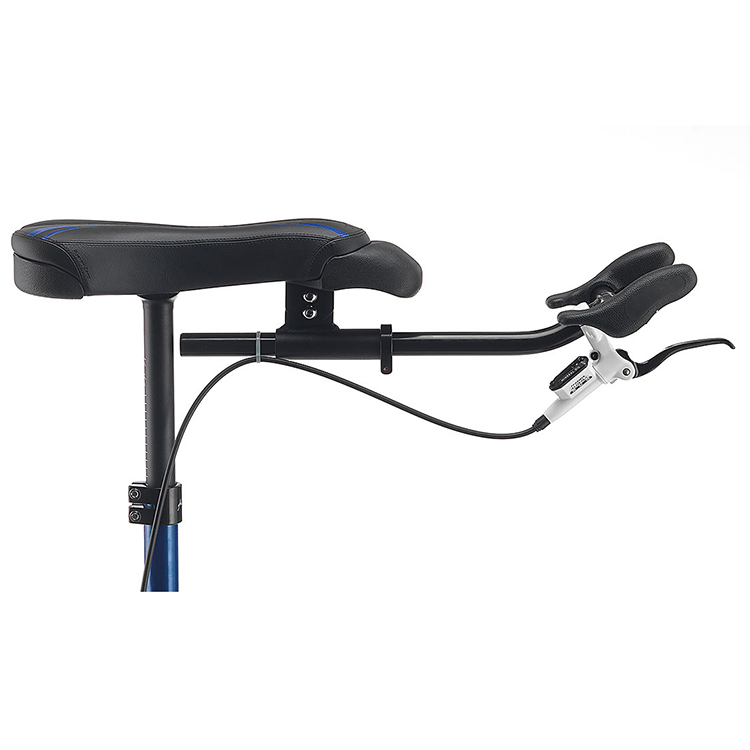 A brake lever can be positioned between the bar ends or along the handle shaft. 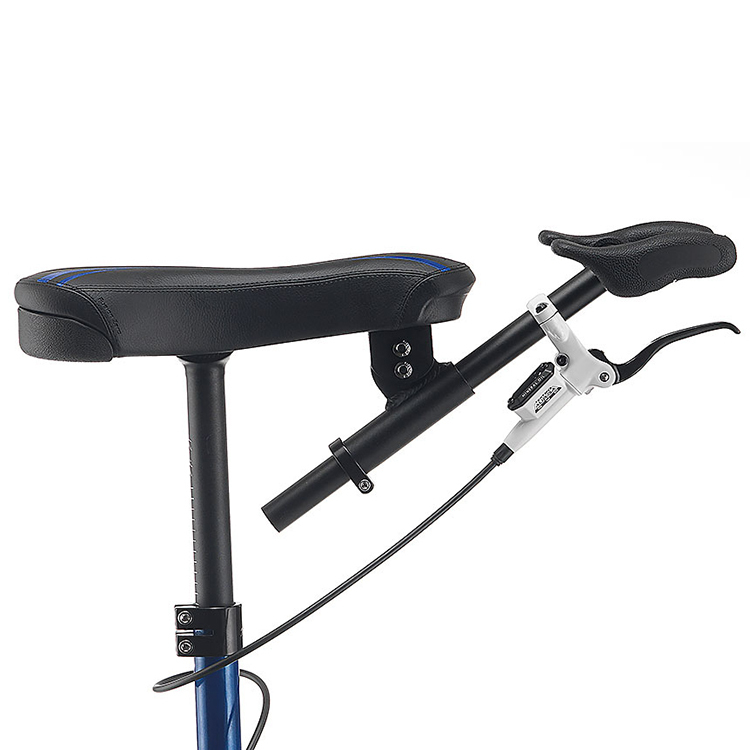 For road riders, using an extended T-bar handle reduces front saddle pressure and provides a comfortable, bike-like riding stance. 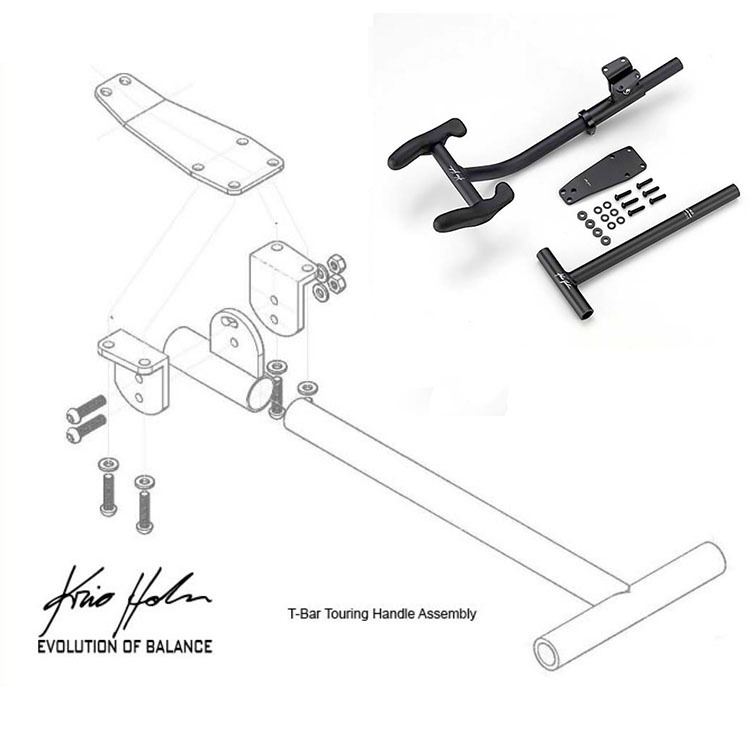 The Distance-assembly is for longer handle extensions and less technical riding, the Muni-type assembly is typically shorter and near the saddle (w/o front grip) for more technical riding.